A superintelligence is a hypothetical agent that possesses intelligence far surpassing that of the brightest and most gifted human minds. "Superintelligence" may also refer to a property of problem-solving systems (e.g., superintelligent language translators or engineering assistants) whether or not these high-level intellectual competencies are embodied in agents that act in the world. A superintelligence may or may not be created by an intelligence explosion and associated with a technological singularity. Container ship on the Black Sea near Constanța, Romania. The ESA Seeker autonomous rover during tests at Paranal. Many hypothetical doomsday devices are based on the fact that salted hydrogen bombs can create large amounts of nuclear fallout. A doomsday device is a hypothetical construction — usually a weapon or weapons system — which could destroy all life on a planet, particularly Earth, or destroy the planet itself, bringing "doomsday", a term used for the end of planet Earth. Most hypothetical constructions rely on the fact that hydrogen bombs can be made arbitrarily large assuming there are no concerns about delivering them to a target (see Teller–Ulam design) or that they can be "salted" with materials designed to create long-lasting and hazardous fallout (e.g., a cobalt bomb). Human factors and ergonomics (commonly referred to as human factors) is the application of psychological and physiological principles to the (engineering and) design of products, processes, and systems. The goal of human factors is to reduce human error, increase productivity, and enhance safety and comfort with a specific focus on the interaction between the human and the thing of interest. It is not simply changes or amendments to the work environment but encompasses theory, methods, data and principles all applied in the field of ergonomics. Energy storage is the capture of energy produced at one time for use at a later time. A device that stores energy is generally called an accumulator or battery. Energy comes in multiple forms including radiation, chemical, gravitational potential, electrical potential, electricity, elevated temperature, latent heat and kinetic. Energy storage involves converting energy from forms that are difficult to store to more conveniently or economically storable forms. 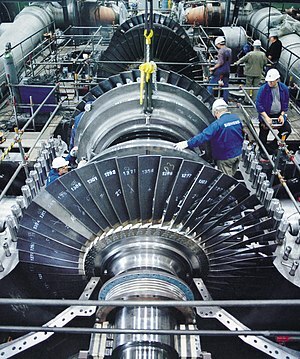 Some technologies provide short-term energy storage, while others can endure for much longer. Electrical engineering is a professional engineering discipline that generally deals with the study and application of electricity, electronics, and electromagnetism. This field first became an identifiable occupation in the later half of the 19th century after commercialization of the electric telegraph, the telephone, and electric power distribution and use. Subsequently, broadcasting and recording media made electronics part of daily life. The invention of the transistor, and later the integrated circuit, brought down the cost of electronics to the point they can be used in almost any household object. Firefighting is the act of attempting to prevent the spread of and extinguish significant unwanted fires in buildings, vehicles, woodlands, etc. A firefighter suppresses fires to protect lives, property and the environment. REOLYSIN® (pelareorep; Wild-Type Reovirus; Serotype 3 Dearing; Oncolytics Biotech Inc.), is a proprietary isolate of the unmodified human reovirus (reovirus) being developed as a first-in-class systemically administered immuno-oncology viral agent for the treatment of solid tumors and hematological malignancies. REOLYSIN is classified as an oncolytic virus, a virus that preferentially lyses cancer cells. Based on both single-arm and randomized phase 2 clinical studies, REOLYSIN also promotes an inflamed tumor phenotype through innate and adaptive immune responses. Clinical trials have demonstrated that REOLYSIN may have activity across a variety of cancer types (including breast, colorectal and pancreatic, as well as multiple myeloma) when administered alone and in combination with other cancer therapies. Electroencephalography (EEG) is an electrophysiological monitoring method to record electrical activity of the brain. It is typically noninvasive, with the electrodes placed along the scalp, although invasive electrodes are sometimes used, as in electrocorticography. EEG measures voltage fluctuations resulting from ionic current within the neurons of the brain. Clinically, EEG refers to the recording of the brain's spontaneous electrical activity over a period of time, as recorded from multiple electrodes placed on the scalp. 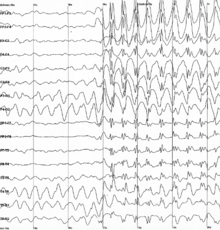 Diagnostic applications generally focus either on event-related potentials or on the spectral content of EEG. The former investigates potential fluctuations time locked to an event, such as 'stimulus onset' or 'button press'. The latter analyses the type of neural oscillations (popularly called "brain waves") that can be observed in EEG signals in the frequency domain. A conceptual plan of a European super grid linking renewable energy projects like DESERTEC & Medgrid across North Africa, the Middle East and Europe and could serve as the backbone for the hypothetical supersmart grid. The SuperSmart Grid (SSG) is a hypothetical wide area electricity network connecting Europe with northern Africa, the Middle East, Turkey and the IPS/UPS system of CIS countries. 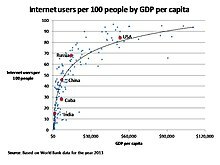 The system would unify super grid and smart grid capabilities into a comprehensive network. There are no planned locations for infrastructure or schedule explicitly for the SSG; the name is used to discuss the economic and technological feasibility of such a network and ways that it might gain political support. The ambitious upgrade and unification of current transmission and/or distribution grids finds support among advocates of large scale utilization of alternative energy, and as well as advocates of enhanced energy security for Europe. suffered a stroke and have impaired motor control. Therapist stays in charge of high-level decisions. by connecting the limbs of the patient to an exoskeleton so that robot and patient move in parallel. 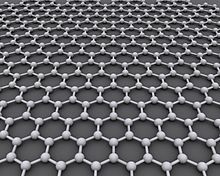 Graphene is an allotrope (form) of carbon consisting of a single layer of carbon atoms arranged in a hexagonal lattice. Asteroid mining is the exploitation of raw materials from asteroids and other minor planets, including near-Earth objects. A ground effect train is an alternative to a magnetic levitation (maglev) train. In both cases the objective is to prevent the vehicle from making contact with the ground. Whereas a maglev train accomplishes this through the use of magnetism, a ground effect train uses an air cushion; either in the manner of a hovercraft (as in hovertrains) or using the "wing-in-ground" design. Holographic data storage is a potential technology in the area of high-capacity data storage currently dominated by magnetic data storage and conventional optical data storage. Magnetic and optical data storage devices rely on individual bits being stored as distinct magnetic or optical changes on the surface of the recording medium. Holographic data storage records information throughout the volume of the medium and is capable of recording multiple images in the same area utilizing light at different angles. Speech recognition is the interdisciplinary subfield of computational linguistics that develops methodologies and technologies that enables the recognition and translation of spoken language into text by computers. It is also known as automatic speech recognition (ASR), computer speech recognition or speech to text (STT). It incorporates knowledge and research in the linguistics, computer science, and electrical engineering fields. Artist's concept of the Starship following stage separation from a Super Heavy booster rocket. Starship is the fully-reusable second stage and spaceship of the SpaceX BFR rocket. It is a long-duration cargo- and passenger-carrying spacecraft that also serves as the BFR launch vehicle second stage and integrated payload section. ... that Mustafa Tuna, the newly-elected mayor of Ankara, was previously an academic in environmental technology? James McLurkin (born 1972) is an engineering assistant professor at Rice University specializing in swarm robotics. He appeared on Nova on PBS. 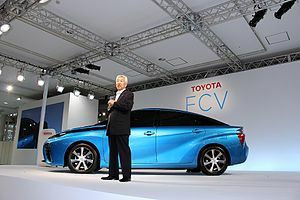 In addition, he is a winner of the 2003 Lemelson-MIT Prize and completed his Ph.D. in computer science in May 2008 at the Massachusetts Institute of Technology Computer Science and Artificial Intelligence Laboratory. He earned his master's degree in electrical engineering from the University of California at Berkeley. Abu Yūsuf Yaʻqūb ibn ʼIsḥāq aṣ-Ṣabbāḥ al-Kindī (/ælˈkɪndi/; Arabic: أبو يوسف يعقوب بن إسحاق الصبّاح الكندي‎; Latin: Alkindus; c. 801–873 AD) was an Arab Muslim philosopher, polymath, mathematician, physician and musician. Al-Kindi was the first of the Muslim peripatetic philosophers, and is unanimously hailed as the "father of Arab philosophy" for his synthesis, adaptation and promotion of Greek and Hellenistic philosophy in the Muslim world. Rachel Fuller Brown (November 23, 1898 – January 14, 1980) was a chemist best known for her long-distance collaboration with microbiologist Elizabeth Lee Hazen in developing the first useful antifungal antibiotic, nystatin, while doing research for the Division of Laboratories and Research of the New York State Department of Health. Brown received her B.A. from Mount Holyoke College and her Ph.D from the University of Chicago. She was inducted into the National Inventors Hall of Fame in 1994. Muhammad ibn Muhammad ibn al-Hasan al-Tūsī (Persian: محمد بن محمد بن حسن طوسی‎‎ 24 February 1201 – 26 June 1274), better known as Nasir al-Din Tusi (Persian: نصیر الدین طوسی‎; or simply Tusi /ˈtuːsi/ in the West), was a Persian polymath, architect, philosopher, physician, scientist, and theologian. He established trigonometry as an independent branch of mathematics. 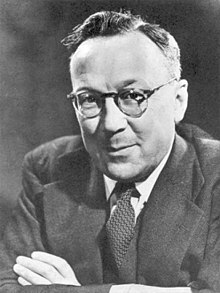 Sir Robert Alexander Watson-Watt, KCB, FRS, FRAeS (13 April 1892 – 5 December 1973) was a Scottish pioneer of radio direction finding and radar technology. Abu al-Qasim Abbas ibn Firnas ibn Wirdas al-Takurini (809–887 A.D.), also known as Abbas ibn Firnas (Arabic: عباس بن فرناس‎), was an Andalusian polymath: an inventor, physician, chemist, engineer, Andalusian musician, and Arabic-language poet. Of Berber descent, he was born in Izn-Rand Onda, Al-Andalus (today's Ronda, Spain), lived in the Emirate of Córdoba, and is reputed to have attempted flight. 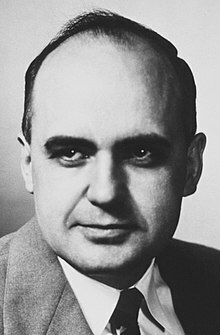 Maurice Ralph Hilleman (August 30, 1919 – April 11, 2005) was an American microbiologist who specialized in vaccinology and developed over 40 vaccines, an unparalleled record of productivity. Of the 14 vaccines routinely recommended in current vaccine schedules, he developed eight: those for measles, mumps, hepatitis A, hepatitis B, chickenpox, meningitis, pneumonia and Haemophilus influenzae bacteria. He also played a role in the discovery of the cold-producing adenoviruses, the hepatitis viruses, and the potentially cancer-causing virus SV40. 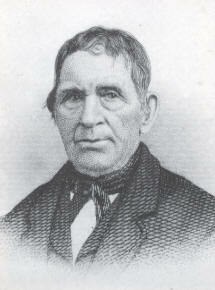 Woodburytype of Henry Cole by Lock & Whitfield.